If you’re looking for a night on the town that’s far from ordinary, Georgia doesn’t disappoint. They’ve got some of the oddest, intriguing, and downright enjoyable bars you’ll ever visit, whether it’s a ping pong emporium or a bar dedicated entirely to Abraham Lincoln. If you think all bars are the same, you owe it to yourself to try these 10 most unique bars in Georgia—they’ll certainly change your mind. As if the name weren’t unique enough, their entire concept is unlike anything you’ve ever experienced. To some, this place is an art gallery selling original works by Sister Louisa herself. For others, it’s the friendly neighborhood pitstop for their favorite libation. And for others, it’s THE Monday night hangout where you’ll find the best in ping pong tournaments. There’s one thing for sure: you’ll be singing its praises for days and days and praying for another opportunity to visit. Gamers unite at this epic bar that’s almost like Comicon every day. PC and console gamers alike can find their favorite games to play here, where they also have tournaments and trivia on the regular. A full bar and food menu provide excellent gaming fuel so you can plan to spend the day. They’re also well known for their cosplay-friendly events throughout the year. Yes, someone created an Abe Lincoln-themed bar, and it’s certainly a sight to see. This unique hole in the wall is reminiscent of an old cabin that even Lincoln himself would approve of. Hand drawn artwork of the former President and other “artifacts” line the walls and ceiling—contribute your own and give it permanent exhibition. Situated in a former mill, this Mediterranean bar and grill is one of the most historical in the state. The building itself dates back to the 1800s, where it was a popular mill operated by a water wheel. The wine bar here is simply exquisite with its upscale vibe and rustic chic surrounds. This funky blues bar was once home to a gas station and now features its own house band. The bar itself has been a Hollywood backdrop for films like Fast and Furious 8, MacGyver, Barbershop 3, and Stomp the Yard, among others. Its rustic exterior pays homage to its history, and locals wouldn’t have it any other way. This late night neighborhood hangout is a favorite live entertainment venue that will make you lose track of time. From comedy shows to concerts, billiards and darts, and even old school pinball, the experience here is as diverse as the people who visit. They’re also a surprising favorite for better-than-bar food that’s available from lunch to last call. This fan-favorite jazz club was built specifically as a listening room to ensure the highest quality sound throughout the space. Featuring brilliant jazz acts and open mic nights, you can enjoy a laid back experience combined with outstanding food and drink. Fans love coming here because there are no food and drink minimums. Victorian-style mansions are always unique, but chances are you haven’t found many of them with a public bar in the basement. Located at subterranean levels in the Victor H. Kriegshaber House, you can expect a rotating selection of craft beers, modest bar bites, and exquisite surrounds. 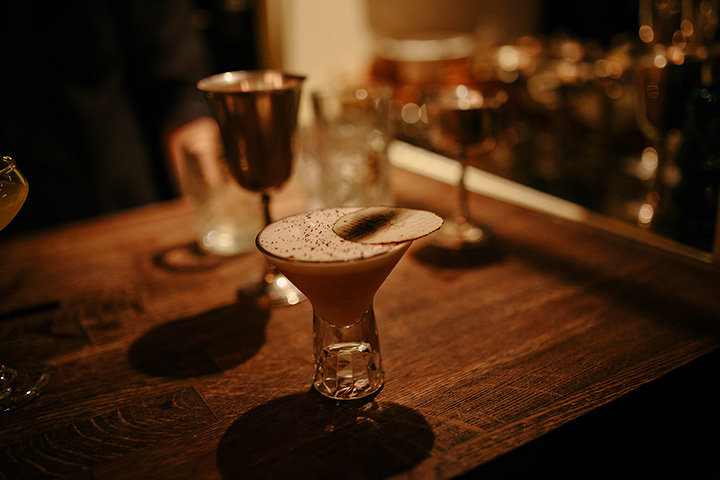 Their creative cocktails are also one of a kind and you’ll appreciate the thought and care that go into each one. This unique jazz tapas bar is as refreshing as a Savannah breeze. It’s a step back into time that blends well with the city’s history, offering chic surrounds in a basement level setting that’s all things intimate and classy. Live jazz music is on the menu six nights a week, so bring you dancing shoes. This old-school retro gaming dive bar is welcoming to nerds and geeks alike. They’re fully loaded with classic games from your childhood, all original and in working order, including Jurassic Park, Mortal Kombat, TMNT, and pinball. But what’s even better are the prices, which you’ll also remember from your childhood: most games still just cost a quarter to play.